This was my second visit to the pink city of Jaipur. My first visit was years ago and resembled more of a touristic marathon! So this time, I wanted to visit Jaipur and do nothing! When I mean nothing...I mean the bare minumum... And I found just the perfect hotel for my lazy Rajhastani monsoon weekend. This hotel stole my heart. A little piece of paradise in the middle of the hustle and bustle of the city! 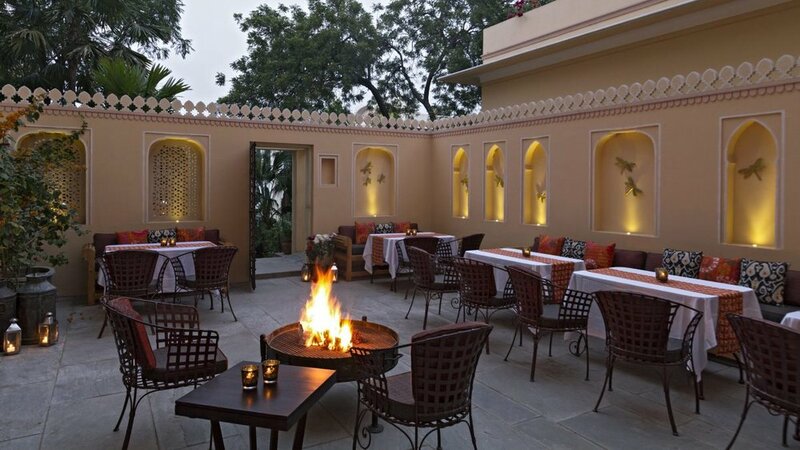 A soul-nourishing break only a 5-hours drive from the hectic life of New Delhi. The moment I reach I am welcomed just like princess, and invited to take at seat at the reception for check-in, where icy sweet lemon water is served. 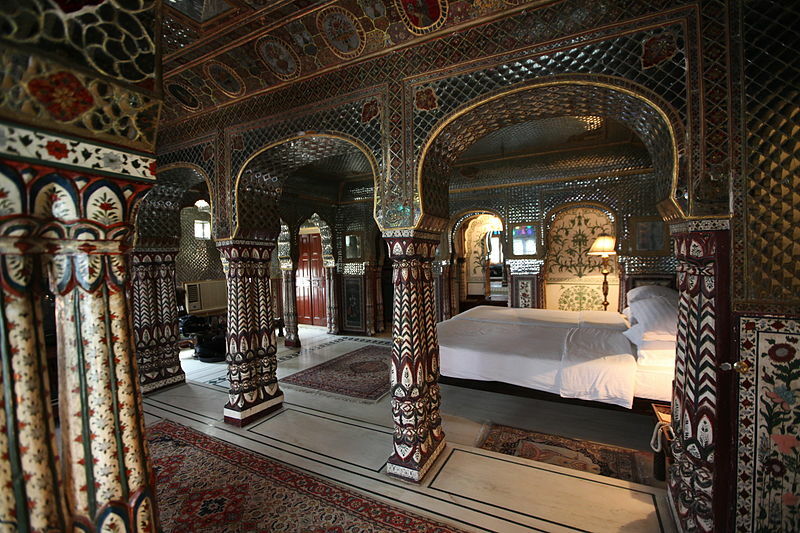 A 5-star service staff gives me a tour of the hotel and takes me to the Sheesh Mahal Suite, a very special room where the entire ceiling is decorated with 200 year-old Samode mirror work, and walls are frescoed with traditional rajasthani courtship paintings. The moment I enter I feel I am in a different world, I imagine I am a princess and I watch life in the palace behind the small secret ornated windows that surround the room. Rain starts to fall, but it does not matter... I am lying on my covered daybed, sipping on a double whisky on the rocks, and doing small talk. Kittens are running free and chasing lizards. As I watch the raindrops ripple on the water surface, I feel gratitude for the experiences that life brings me. I get back to my room and watch a Bollywwod movie with a happy belly.... I sleep like a baby. Breakfast is amazing, I sit on the veranda, under the high ceilings and colonial fans. A light rain continues to fall, everything around is green amd peaceful. I choose to spend my day inside the Haveli, exploring the many corners of the palace, and meditating on life. The swimming pool is an attractive spot to get some writing done. And slowly my weekend comes to an end. The energy of this place is amazing, the perfect place to rest and re-center myself. I will be back! Thank you for reading! Let me know your thoughts and leave your comments!